Salami and cold cuts are often the subject of alarming campaigns that point to them as potentially harmful to human health. However, if they are consumed in the right amount (best choice: two 50 g portions per week), they helps to make one’s diet complete and balanced, and in addition are also gratifying foods for one’s taste and even for mood. The chain concerning this sector has long been committed to producing high quality products, characterised by less fat, salt, and additives. And this is particularly true for Italian Protected Salami and cold cuts (both PDO and IGP ones). Today, these products are suitable for responding adequately to the increasing attention consumers pay to quality agri-food products, with a strong link with their territory, and in line with nutritionally correct and balanced dietary regimes. The 2017 update about the Research concerning Italian Protected Salami and cold cuts helps to highlight the constant evolution of this sector. No later than in 2011, this Research had already seen significant nutritional improvements for these products. 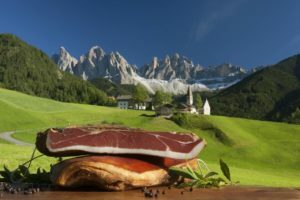 This edition of the study is promoted by ‘Istituto Salumi Italiani Tutelati (ISIT - Italian Institute for Protected Salami and cold cuts) and realised by both ‘Centro Ricerca per gli Alimenti e la Nutrizione (CREA - Research Centre for Food and Nutrition)’ and ‘Stazione Sperimentale per l’Industria delle Conserve Alimentari (SSICA - Experimental Station for Canned Food Industry)’. The 2017 edition especially focuses on six new PDO Salami and cold cuts, showing an even more complete vision of this sector: Coppa Piacentina, Pancetta Piacentina, Salame Piacentino, Salame Brianza, Salame di Varzi, and Prosciutto Toscano. These products are all expressions of a local culture, with a strong link with their territory. The analysis concerning the nutritional composition of salami and cold cuts confirmed the trend line: significant advances in breeding, processing, and preservation techniques have had a significant impact on improving nutritional characteristics of end products. Lorenzo Beretta, president of ISIT, says: ‘The objective of this research consists in providing consumers with correct scientific information, beyond the conditioning coming from trendy opinions that find a space in public opinion. From this study, it emerges with great clarity how balanced consumption of salami and cold cuts is crucial in a proper alimentary education project’. 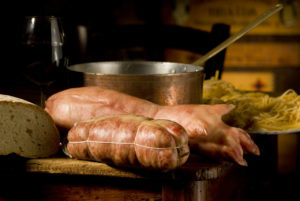 As for fats present in the salami and cold cuts examined for this research, there is a substantial homogeneity in the basic composition of the three Salami (Piacentino, Brianza, Varzi). Furthermore, this composition is similar to the one that characterises both ‘Milano’ and ‘Napoli’ Salami that were the object of the previous study, realised in 2011. 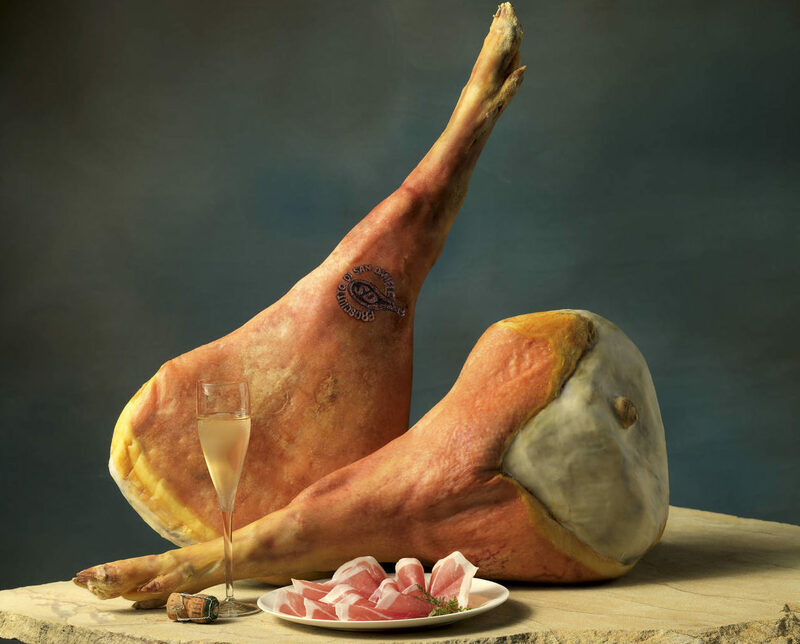 The case of PDO ‘Prosciutto Toscano’ ham is emblematic of how the supply chains are working carefully in the virtuous path towards reducing fats. The lipid content of this product is 22.8%, which can be reduced to 8.8% if the peripheral fat layer is removed. 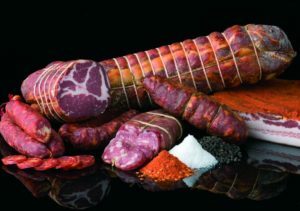 Even if this datum varies for whole salami (‘Coppa’, Bacon, Ham) according to the selected cut, nutritional analyses have also highlighted a balance between the content of saturated and unsaturated fats in the qualitative composition of the meats. This confirms the constant process of optimisation for quality composition. From the available data concerning this sector, it is possible to point out that salami and cold cuts have long taken on a path of lipid content reduction and optimisation of compositional quality, especially in cooked products. The content in saturated fatty acids decreased to almost 40% and a greater balance between saturated and unsaturated fatty acids was obtained. Unsaturated fatty acids, whose quantity was 30%, now form 60% of total fats (LARN). Therefore, according to the results highlighted by this research, the Protected Italian Salami and cold cuts can undoubtedly play an important role in providing a good percentage of the fatty acids that are necessary for the proper functioning of our body, which, for a healthy adult with moderate physical activity, corresponds to a lipid quantity of 25-30% of the total calories consumed. Given that salt is an indispensable element for both preservation and healthiness of foods, and for salami and cold cuts in particular, as well as in order to guarantee their typical flavour, it should be remembered that - if it is consumed in the right quantities – salt is also an important element for proper functioning of our body. However, it must be consumed with moderation, as the World Health Organization (WHO), too, has underlined. The WHO has recommended measures to limit its content in food. The evolution of Italian cured meat products has gone exactly in this direction, involving the whole chain to find solutions that can minimise the use of salt. This virtuous path has already been highlighted by the study conducted since 2011 and is now confirmed by the 2017 addendum, which sees a content in salt ranging from 1.75 grams per portion (g 50) of ‘Pancetta Piacentina’ to 2.3 grams per portion (g 50) of ‘Prosciutto Toscano’ Ham. From the overall available data, it emerges that the content in salt of Italian salami and cold cuts results significantly reduced to a percentage ranging from about 4% to more than 45%, depending on the product (comparison made in 2011 for the products for which the data concerning previous analyses dating back to 1993 were also available). Therefore, taking into account portions, consumption frequency, and new composition data, it can be stated that Italian salami and cold cuts are not the most important source of salt in one’s diet, considering that other foods consumed more frequently and in higher quantities (such as, for example, some cereal derivatives), contribute to higher salt intake in our body. As for other additives, such as nitrites, this research shows that in all verified samples they are below the detection limit. Even nitrates, which have always been below permitted limits, have been progressively reduced over the years, to the point thatin several salami and cold cuts they are not present at all. 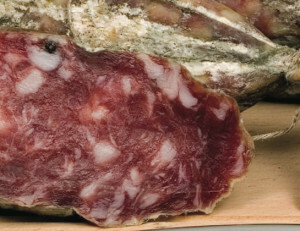 Even if the preservatives that maintain both wholesomeness and organoleptic characteristics of these products have been reduced, the improvement of the chain processes has made it possible to produce salami and cold cuts that are safer and safer from the health point of view, while maintaining their unmistakable flavour and inimitable taste. The values recorded in 2017 confirm the positive trend already highlighted in 2011. From these data, it is possible to identify salami and cold cuts as a category of products with a significant content in different vitamins and mineral salts needed for our body. From the analysis concerning micro-nutrients in the new six PDO salami and cold cuts, it emerges that the content in vitamin B complex, which is important for the metabolism of our body, is particularly present. Specifically, pig meat results to be the main source of vitamin B1. This study highlights how a 50 g portion of PDO ‘Prosciutto Toscano’ ham, for example, covers about 30% of the daily requirement of vitamin B1 and B6, while with a portion of ‘Coppa Piacentina’, ‘Salame Piacentino’, or ‘Varzi’ it is possible to reach up to 20% of daily requirement of niacin (or vitamin B3). The supply of some important minerals including iron, zinc, selenium and potassium, present in salami and cold cuts, is also significant. A portion of salami and cold cuts can cover from 24% (for ‘Pancetta Piacentina’) to 68% (for ‘Coppa Piacentina’) of the daily requirement of zinc, and meat and its derivatives are the main source of selenium in the Italian diet.